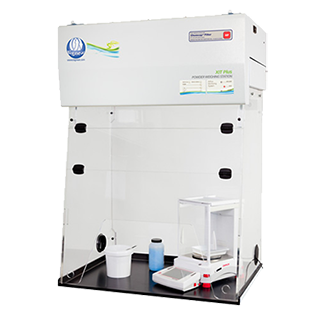 Powder Weighing Cabinet for operator protection from particles whilst weighing and handling powders. This cabinet offers excellent all-round vision. Cabinet has trapezium shaped front access (285mm height) with double hinged flap for easy access to cabinet interior and the base tray is included.